The new Youth and Sports Minister Enock Chakufwa Chihana has said the Chinese-funded state-of-the-art stadium project will revert to Malawi’s capital, Lilongwe. Chihana said as per initial Parliament agreement, the facility will not be built in Blantyre. “The Stadium Bill was discussed and approved by Parliament in 2010 and it was agreed that it should be built in Lilongwe. If that was the agreement, then it has to be built in Lilongwe because Blantyre already has Kamuzu Stadium which only needs to be upgraded,” he said. Chihana also said in countries such as Zimbabwe, Zambia and South Africa, national stadiums are in the capital cities. “Then why not here?” he wondered. Surprisingly, Chihana’s predecessor Symon Vuwa-Kaunda, who all along defended government’s move to relocate the stadium to Blantyre, on Sunday changed his stand. “I totally agree with the honourable minister because the decision to relocate the venue attracted mixed reactions from the public. “Most of the people, including MPs and the Nkhoma Synod were of the view that it should still be built in Lilongwe. So, I agree that the issue should have a second look. It is a matter that can be reviewed,” said Vuwa-Kaunda. But another former Sports minister, Moses Dossi, feared that the continued change on the site of the stadium could affect the project. “The location of the stadium does not matter, but we have to be careful because although there is a commitment from the Chinese Government to fund construction of the stadium, they might change their mind due to our indecisiveness. “We need to get serious on the issue and decide where we want the stadium to be built once and for all. If the stadium project reverts to Lilongwe, then there will still be need for government to find resources to construct another one in Blantyre and vice-versa,” said Dossi. He claimed that the move to construct a new stadium in the country was initially his idea. “It was my concept when I was Sports minister in Bakili Muluzi’s government. The Brunei Government actually pledged to fund the project to the tune of K10 billion. “The reason it did not materialise was because I was dropped from Cabinet. I remember advising my successor, then Henderson Mabethi, to follow up the matter, but the Brunei Government refused saying they had been talking to me. I pleaded with them that it was not a personal project, but for the benefit of the youth in the country. Unfortunately, they stood their ground,” said Dossi. Earlier this year, government announced that it had decided to have the stadium built in Blantyre because Lilongwe already has a number of development projects funded by the Chinese Government. The move sparked controversy as other quarters, including some members of Parliament, protested, arguing that Blantyre already has the giant Kamuzu Stadium, which only needs to be refurbished. However, despite contrary views, the late president Bingu wa Mutharika stood firm on government’s decision to relocate it to Blantyre. Justifying the move, Mutharika argued that Kamuzu Stadium had been condemned by Fifa; hence, the need to construct a new stadium in Blantyre. In January this year, Transport and Public Works Minister Sidik Mia also justified the relocation saying Lilongwe already has a number of development projects funded by the Chinese Government. Mia also claimed then that government never made a commitment on the site of the stadium. 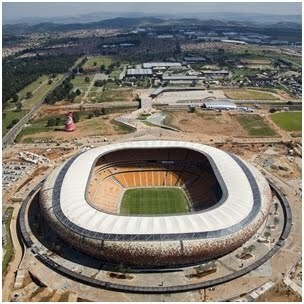 On November 17 2010, Parliament approved a proposal by government to borrow money from the Chinese Government to construct a stadium and land was identified between Area 47 and Area 49.